Who controls your heat pump? You? Or your electricity company? SITE EDITOR’S NOTE August 20: I have received some feedback on this article, which stated, in part, that most “smart” meters in NZ do not contain ZigBee chips. (See below.) The post below in its original version did state that “not all” smart meters in NZ contain ZigBees; however, for the sake of clarity I have re-edited the post to make it clear that most smart meters in NZ do not contain ZigBees. I will write a follow-up post in response to other comments as soon as I can. 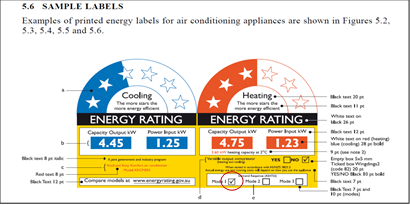 SITE EDITOR’S NOTE August 28: I have followed up on other criticisms of this post and found out that it is not mandatory for heat pumps to have ZigBees or “demand response functionality” in NZ (despite the statements on the website of the Parliamentary Commissioner for the Environment; see below for the reference.) However, there are heat pumps that are registered as being for suitable for use in NZ and Australia that do have “demand response functionality”. This “demand response functionality” allows for the heat pumps to be turned down to their lowest setting, rather than be turned off. I will be writing a new post that explores these issues and give references so that you can find out whether your heat pump is one that may be able to be controlled remotely by your electricity company in a new post as as soon as I have time. In the meantime, I have added Editor’s notes to the post below to correct the errors. If you would like to be notified when the new post has been written, please join the email list at www.stopsmartmeters.org.nz. Who controls your heat pump…You?…Or your electricity company? Do you have a heat pump in your home? I bet you appreciate its reliable warmth, especially when NZ is in the grip of a southerly that has come straight up from the Antarctic. However, if you have a “smart meter” in or on your home, don’t count on always being able to enjoy that wonderful warmth….even if you always pay your bill on time. Smart meters which are fitted with a ZigBee communications chip have the ability to “talk” to “smart” appliances – and since 2011, according to a document on the website of the Parliamentary Commissioner for the Environment heat pumps in NZ have been required to be “smart”. * [Ed note: There is actually no such requirement at this stage, despite the statement on the website of the Parliamentary Commissioner for the Environment; see Ed note of August 28, above]. Not all smart meters in NZ contain ZigBee chips at this point; in fact, to the best of my knowledge most smart meters that have been installed to date here do not contain ZigBee chips. (Please note that the Labour party is one of many parties that support smart meters in general; see the 2014 Election Questionnaire from www.stopsmartmeters.org.nz if you want to learn about other parties that support smart meters http://www.stopsmartmeters.org.nz/category/2014-election-questionnaire/. If you do not yet have a smart meter, count yourself lucky; you control your appliances; your lines or electricity company cannot switch them off [or otherwise interfere with their operation] when you least expect it – or most need them.